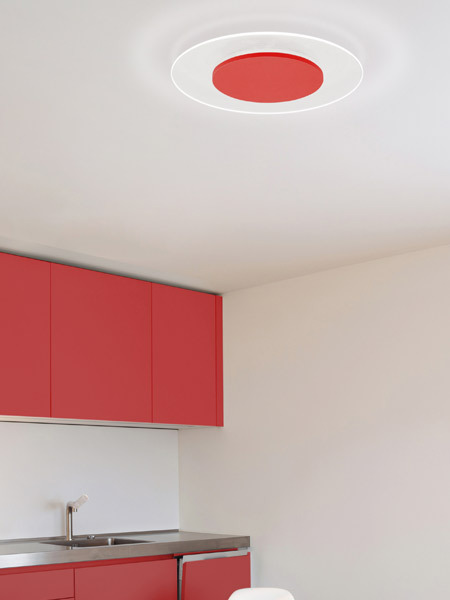 Eclipse LED Flush Mount Ceiling Light with cutting-edge lighting technology that comes in a slim package. 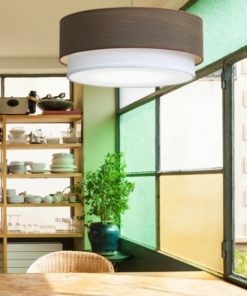 Its unique design features edge lite and downward diffused lighting for a sleek aesthetic modernist look. 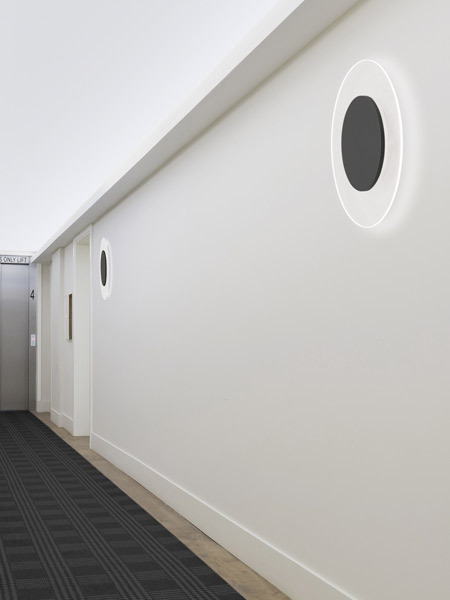 When illuminated, the Eclipse flush mount ceiling light casts a soft and even light with no hotspots — a perfect and well-designed fixture for hotel hallways, ceiling or wall lights. 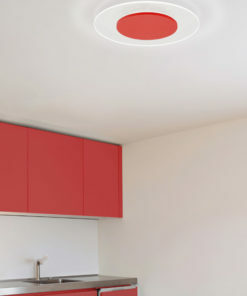 The center hub comes in various colors, other custom colors on request. 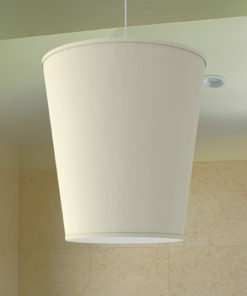 Eclipse II These nifty modern LED arrays may be used for flush mount ceiling lights or wall sconces. 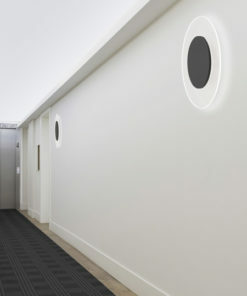 They look great when used in combination or clustered together for a dramatic visual impact. 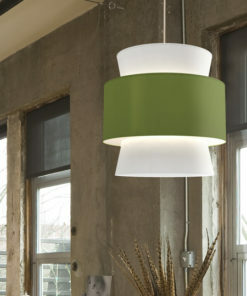 Currently these ceiling lights are available in 8 colors. 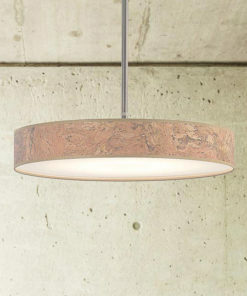 These work with standard ELV dimmers, which are a must for restaurants and residential lighting applications.